Just finished Ontario Farm, a bit of a challenge, but it works. 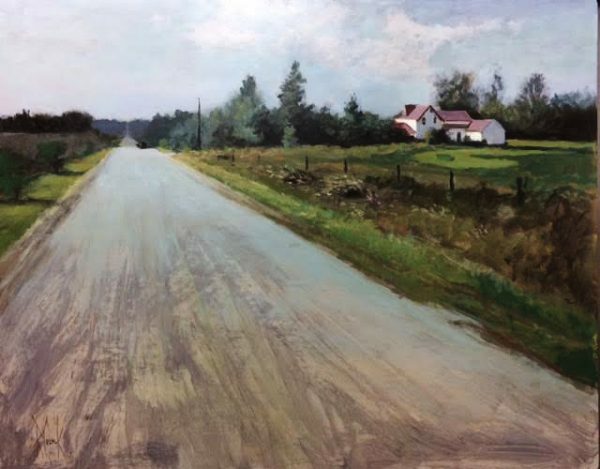 The inspiration came from Google Earth as I used the software to travel down roads in Ontario looking for a subject. While most images are not suitable in color and perspective, this one triggered an idea. Inspiration can come from anywhere.